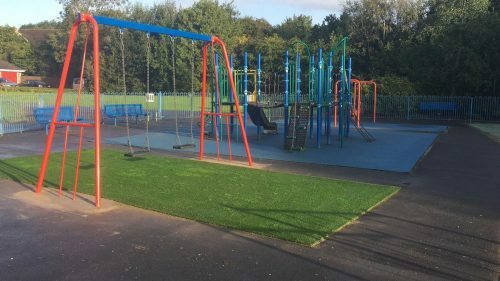 A partnership has been established, between R&M Community Council, Cardiff Council, the Clos Parc Radur Management Committee and Redrow Homes to deliver improvements to the children’s playground at Drovers Way. There is some further information here. To date, one swing has been replaced – and over £25k earmarked for further improvements. All of this will ensure that, for the first time, the playground circle will be full of equipment, rather than half empty.